Home/college station roof company/Rescue Your Roof From Moss and Lichen! According to a College Station roof company firm, one of the causes of roof damage is the growth of moss and lichen. Unlike mechanical damage caused by strong winds and hail, these organisms are silent destroyers. Beginning from a single spore, unseen growth can continue until discoloration will eventually become obvious – and the damage is already done. Moss and lichen growth is common on roofs located in warm and humid climates that provide conditions ideal for such organisms that require moisture and warmth to survive. Even if the climate is not ideal for growth, a roof may still become a breeding ground if it is underneath large trees. Rotting leaves and tree branches can create a moisture-rich environment preferred by lichen and moss. 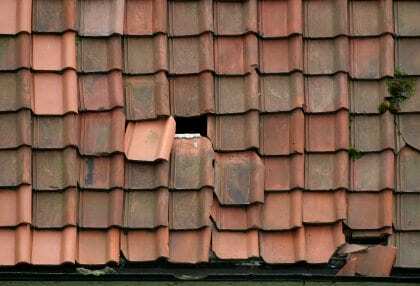 Once infested with moss or lichen, the immediate damage that is done is ruin the beauty of the roof. Moss will appear as a thick greenish-colored plant life while lichen will appear as grayish spots. A College Station roof company would advise that the long-term damage it has on roofing is to significantly reduce the serviceable life of a roof. Moss and lichens produce enzymes which can speed up material deterioration. Regardless whether the infestation is caused by moss or lichen, the most important step to take is to remove the invasive organisms by some different techniques. Brushing – The removal of such growth is usually done manually with a brush. Moss is easier to remove as it is thicker and more pronounced, while lichen is more difficult to handle. Although it is effective, this approach can also damage the fine granules of asphalt shingles that protect it from UV rays. It is also time consuming and there’s no guarantee that the infestation won’t occur again. Power Washing – Power washing is a simpler approach instead of manual brushing; however, it is important to remember to carefully regulate the water pressure or it may also cause damage. Do not power wash asphalt shingles as it will remove the protective granules. When power washing, always direct the spray to the overlap of the shingles and never against it as water could get between the shingles and soak the underlying structure. Chemicals – One of the long-term solutions to moss and lichen infestation is using chemicals that would inhibit the growth of these organisms. Chemicals are readily available and will only have to be mixed with the right amount of water and sprayed on the roof. The result will be immediate, although it might take 3 to 4 successive applications before showing any results. Reapplication should be done in a monthly basis to prevent re-growth. Zinc or Copper Strips – A long term solution to the problem would be to install copper or zinc strips at the highest point of the ridge. The molecules of zinc and copper are deadly to moss and lichen. During rain, the molecules get washed off to the lower portion of the roof, killing the growth in the process. Eliminating moss and lichen infestation on roofs doesn’t have to be an impossible task. These organisms can be removed effectively in a variety of ways such as chemical treatment, power washing, and installing metal strips at the ridge. Hopefully this article has provided helpful information regarding how to remove moss and lichen infestation that will return a roof to its proper healthy status! Turn to College Station Roofing As The Best Choice for a College Station Roof Company! Do you need to find a dependable College Station roof company? Call College Station Roofing at 979-217-2395 for the help you need to remove moss and lichen from your roof!